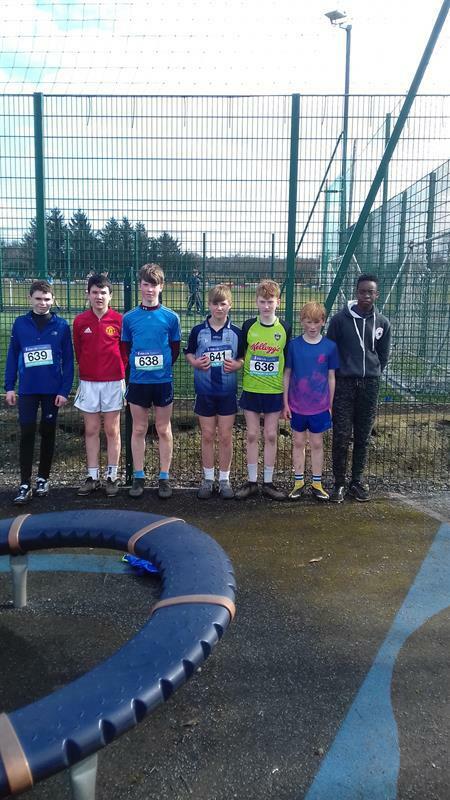 St. Brigid's College was well represented by our Minor Boys, Minor Girls, Junior Girls and Intermediate Boys teams who competed in the Cross Country event in Calry, Sligo recently. St Brigid's College is steeped in both cross country and track and field athletics. Students to shine over the years in the cross country were Frances McNamara who finished 4th in the All Ireland Junior Girls cross country held in Boyle County Roscommon in 1990. Laura Shaughnessy won numerous Connacht Schools cross country titles in her six years in the school and competed for Senior Girls Irish Schools team in 2009. Caroline Clancy, Niamh Daly ,Davina Daly, Linda Porter, Rachel Finnegan, Shane Dolan all competed to a high standard in Connacht Schools Cross Country Championships over the years. In 2009 St Brigids College had its greatest day when three students won All Ireland medals in Tullamore. Maria Cooney won the Junior Girls Long jump with a leap 5.44m, Linda Porter won the Girls under 16 mile and Ciara Hanlon won a silver in the Junior Girls Triple Jump witha leap of 9.40m. Also Maria Cooney won the Connacht Pentathlon and was selected on the Irish Schools Pentathlon team that Competed in the Home Countries International in Glasgow 2009. Other athletes to win medals at the All Ireland was Lisa Clarke in the Junior Girls Long Jump bronze, Laura Shaughnessy in the Senior Girls 3000m bronze. 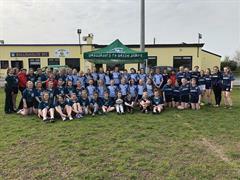 Other athletes to be Connacht champions over the years Kiara Barrett Discus and Javelin, Rachel Glynn Shot Putt, Linda Porter 1500m, Jennifer Barrett Triple Jump, High Jump and Discus, Sarah Finnegan 400m Hurdles, 100m Hurdles, Pentathlon and Triple Jump, Rachel Finnegan 400m Hurdles, Pentathlon and 100m Hurdles, William Finnegan Triple Jump and Pentathlon, Thomas Barrett High Jump, Triple Jump and Discus, Ferdie Whelan Triple Jump and 400m Hurdles, Oisin McNally High Jump and Javelin, Katie Donohue Javelin, Emmett Creaven Triple Jump and Long Jump, Melissa Barrett Shot Putt, Discus and Javelin, Keane Holloway Pentathlon, Lisa Fahey Long Jump and High Jump, Cillian Oâ€™Malley Long Jump, Ciara Hanlon Triple Jump and Discus, Maria Cooney Long Jump 80m Hurdles and Pentathlon.